If you are looking for the best that modern dentistry has to offer, look no further. At Alford Family Dentistry, we provide the attention and comfortable care you will come to expect and enjoy. We offer high quality dental care in a state of the art clinical setting. 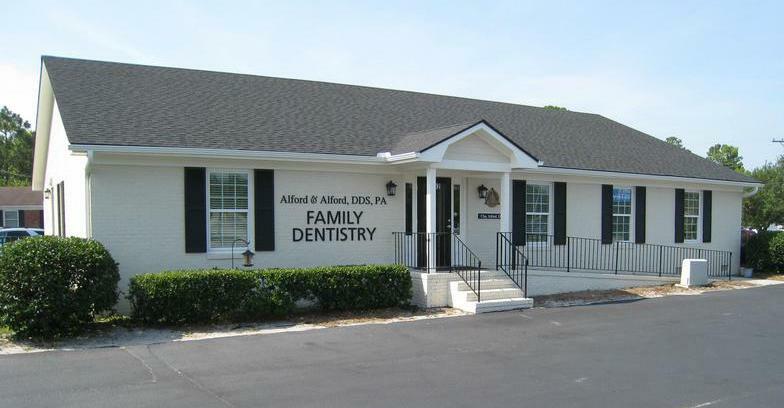 Alford Family Dentistry has been located in Wilmington since 2003, and our facility underwent extensive remodeling in 2011. Let us put our experience and passion for dentistry to work for you. Located directly across from Cardinal Lanes.